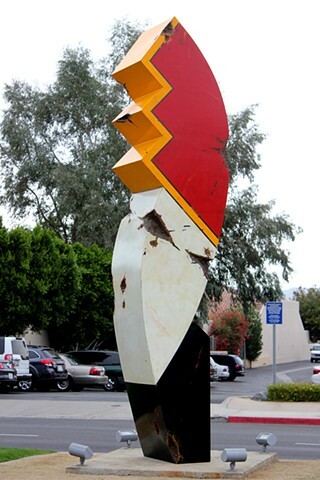 Large-scale outdoor piece on the median of El Paseo in Palm Desert for two year exhibition. Piece is for sale. Contact artist at 760-333-2271.